All compositions by Wadada Leo Smith; published by Kiom Music ASCAP. Lyrics for "Dark Lady of the Sonnets" by Wadada Leo Smith. Wadada Leo Smith's Mbira is an ensemble that works within the idiom of American creative music but also in the realms of the Mbira music of Shona culture in Zimbabwe and even traditional Chinese music. With pipa player Min Xiao-Fen and drummer Pheeroan akLaff, Wadada Leo Smith has produced an album that is powerful and instantly captivating, ancient and contemporary at the same time. 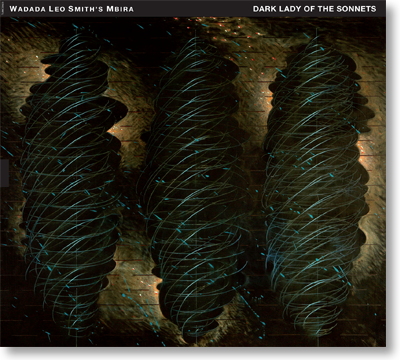 Dark Lady of the Sonnets contains five compositions by Smith, ranging from a memorial for his late mother Sarah Bell Wallace to the title-track inspired by the great Billie Holiday.